The life of a baby is just brimming with milestones: there’s first vocal sounds, first words, sitting up on her own, crawling, walking, etc. One important milestone—that you may not have given much thought to—is eye contact with other individuals (mainly adults). Eye contact is an interesting milestone in that it signals the beginning of more in-depth communication skills. It’s just like with adults. When two individuals make mutual eye contact with one another, it’s clear that both individuals are firmly engaged in whatever communication is taking place. If you’re telling a story to a friend—and you notice that your friend is making eye contact with you—then it’s pretty obvious to you that your friend is tuned in to what it is that you’re saying (that doesn’t mean that a lack of constant eye contact translates to a lack of engagement, but it’s certainly true that eye contact from at least time to time shows interest and overall awareness and attentiveness). You can also think about when you make eye contact with another individual who might be on the other side of a room while you’re amongst a crowd. Essentially, eye contact is simply another form of communication in which no verbal exchange takes place. So, why would it be any different between communication as it relates to adults and babies? Well, it wouldn’t be—and it’s not. Since you can’t exactly have a verbal exchange with your baby, there’s only so much communication that’s actually occurring, but you at least know that mutual eye contact between you and your baby means that your baby is listening and paying attention to you. 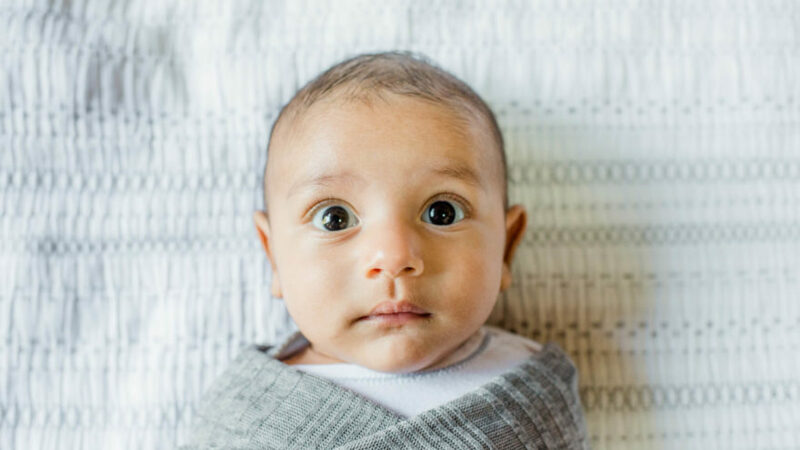 When you and your baby begin to make mutual eye contact (your little one will be able to do so around the ages of 1-3 months), you’ll know that your baby is developing the ability to communicate with you in a way that she hasn’t yet been able to do before. If you notice that you’re little one is beginning to make eye contact with you (it’s not something you really need to watch out for per se), you should consistently try to keep this form of communication going—simply because it’s beneficial to the continued development of your baby’s communication skills. Studies have already shown that when we make eye contact with one another—or even when we’re just telling a story and the listener is fully engaged—our brain waves are syncing up, and the respective brain activity of each individual begins to mirror each other (which means there’s a stronger level of understanding in terms of communication, between individuals). A new study, conducted by scientists at Cambridge University in 2017, has shown that the same holds true for communication between babies and adults. In this particular study, by using EEG monitors, the scientists were able to examine the possible synchronicity and mirroring between brain activity of adults and babies as it pertains to eye contact. A group of babies watched videos in which an adult woman sang a series of nursery rhymes. In one scenario, the women looked directly into the camera—at the viewer (the baby)—while singing. In the second scenario, the woman had her head turned to the side, but she still directed her eyes towards the viewer. In the third and final scenario, the woman turned her head to the side without any eye contact directed towards the viewer. 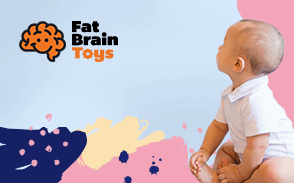 During the filming, the brain activity of the woman was examined using EEG monitors, and the brain activity of the babies was examined while they watched the video. Lo and behold, when the woman did not look directly into the camera, there was little to no mirroring of brain activity between the babies and adults. While the babies might not have been looking directly into the eyes of the singing woman while watching the video, the fact that there was a stronger mirroring effect when at least some gaze was directed towards the babies, led the scientists to conclude that a higher level of understanding (on the baby’s end) was present. Other studies have been conducted to show the ways in which eye contact and certain body language between mothers and babies creates certain degrees of synchrony in heart rhythms and cardiac responses. When we think about these numerous studies and what they say about eye contact and body language between adults and babies as a whole, it becomes pretty clear how important eye contact is when we think about the development of a baby’s communication and comprehension skills. So, if we keep in mind what current research tells us—that babies definitely have a stronger grasp on what’s being communicated to them when eye contact is made (or when you at the very least look towards your baby)—we can infer that consistent eye contact would (over time) allow a baby to consistently understand what’s being communicated to her (as opposed to only some of the time if little eye contact is made). Think of this as a sort of practice makes perfect scenario, or something along the lines of learning through constant exposure. If you make eye contact with your baby often, you and your baby will experience a greater level of more or less mutual understanding. So, every instance in which you’re making eye contact with your baby, it means she is learning more and more how to effectively comprehend what it is you’re trying to communicate. Seeing as how your baby possesses few verbal skills, it’s not as if your baby is going to understand exactly what you tell her (in terms of interpreting words) but at the very least she’s going to understand the general sentiment—meaning she’ll understand that you’re happy when you look her in the eyes while you smile or laugh, or if you were frowning or expressing stress she would understand that you aren’t feeling well. Making eye contact with your baby is one of the few ways you have of communicating with her, and this is especially true given the fact that babies can’t talk or fully express themselves. When you make consistent eye contact with your little one while communicating with her, you’re help her grow her communication skills—which ultimately results in stronger overall comprehension skills and emotional intelligence. Sometimes, teaching your baby and helping her grow doesn’t mean you have to give her an in-depth lecture (she wouldn’t understand anyway). Sometimes you just need to look her in the eye to tell her how it is that you feel, and by doing so, you’ll be making a greater contribution to her emotional development than you might think.